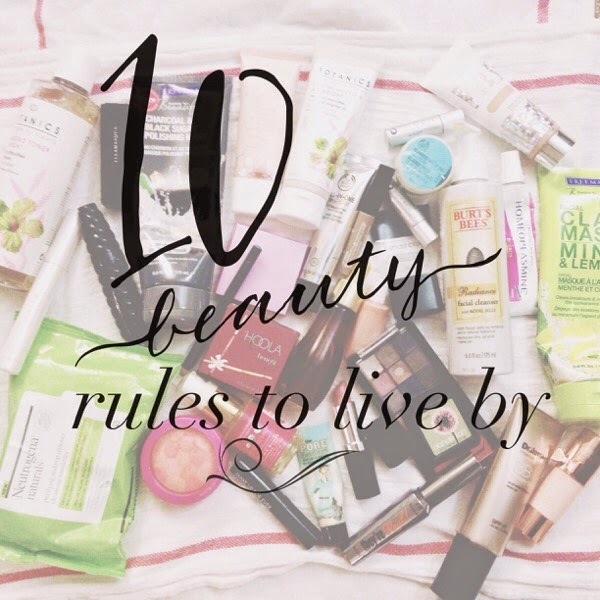 I have been following a specific set of beauty rules that I conjured up years ago. I find that they work best for my skin, and they also make me feel beautiful inside and out. I am excited to share these with you! 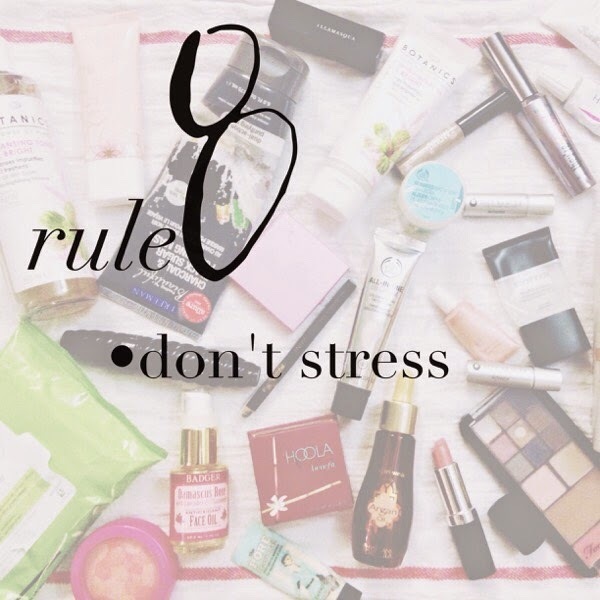 Developing a beauty routine, and adding a little more control and organization in your life can help reduce stress, which is one of the beauty rules that will be mentioned below: Don't Stress. 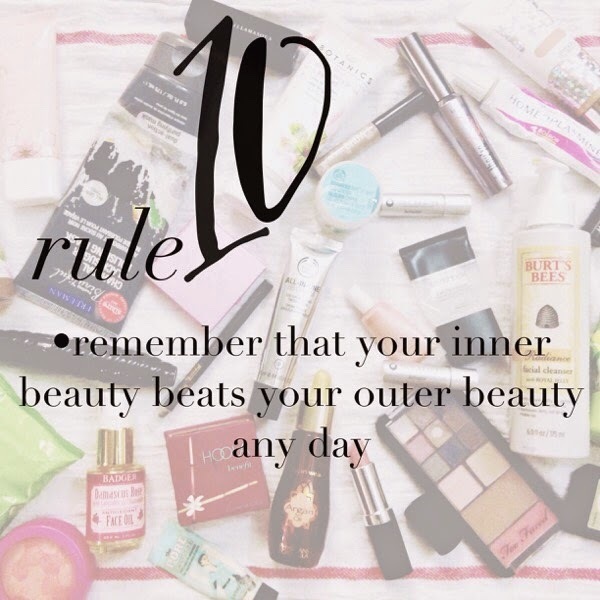 So, here are the 10 beauty rules that I live by. It is a good idea to remove your makeup before going to sleep. At night, while you are sleeping, your skin needs to breathe. When you sleep with your makeup on, you are getting it all over your pillow, and it is rubbing against your skin, and potentially clogging your pores. Any makup, even when not heavy on your skin should be washed up every night to allow your skin to breath, and to prevent unwanted skin issues from appearing. 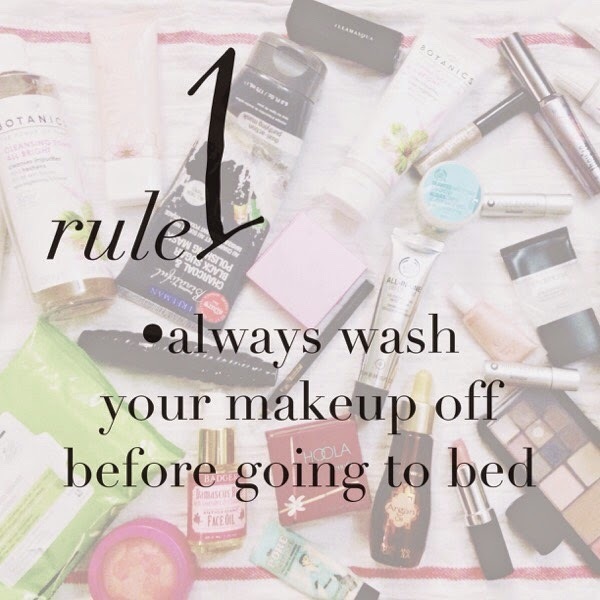 Just like washing your face before going to bed, you should do the same after you wake up. I admit that I sometimes drool in my sleep, and sometimes it gets on my cheek. You definitely want to wash that off before applying makeup to your skin. It is just a good idea to put makeup on a clean, moisturized face so you aren't trapping the grime from sleep under your makeup all day. This is an important one. I am deathly afraid of having creepy animal products in my makeup. 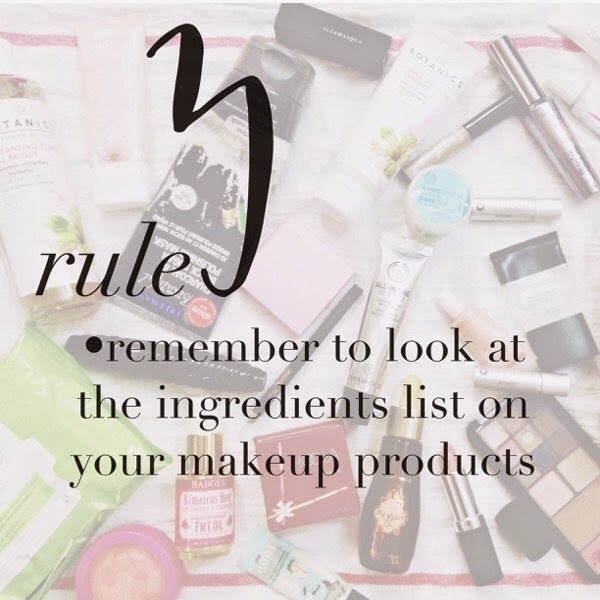 Before I purchase makeup, I always look at the ingredients to make sure nothing creepy or weird is inside my makeup. I don't want to put lanolin (greasy sebum that builds up on hair, and makes it feel waxy. Comes from sheep) or squalene (gooey oil squeezed out of shark livers) on my face or hair. Here is a site that you can visit to get more information about animal products lurking in your beauty products. You might be a little wary on this one, but trust me. Washing your face with a cleansing oil, or moisturizing your face with oil will actually add more moisture to your skin. The reason why your skin may be producing so much oil is probably because your skin is lacking in moisture. Using cream moisturizers are like short term moisture for your skin. 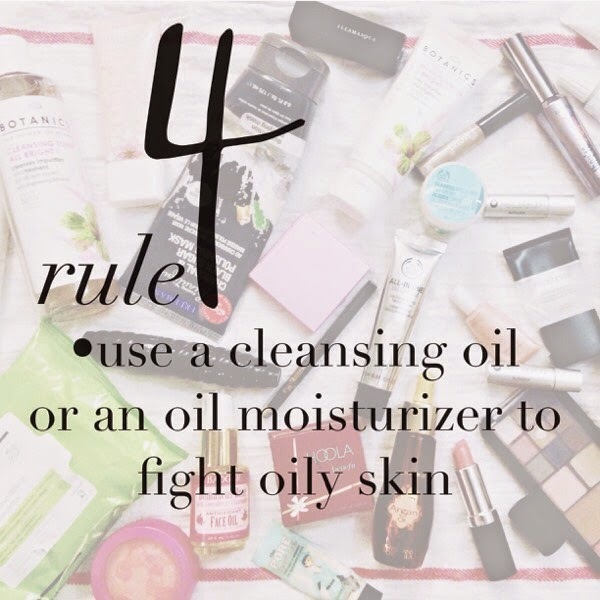 Use oil because it will keep your skin hydrated, moisturized, and your skin won't have to produce oil to make up for dry skin. Some people don't believe in this one. 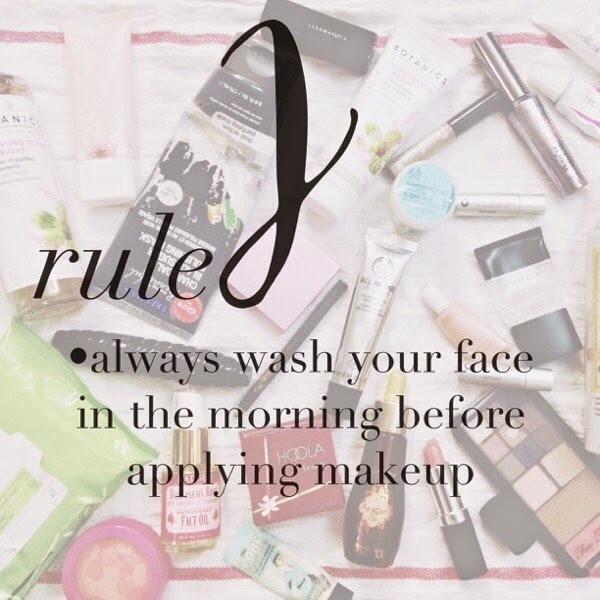 It is probably one of the most basic beauty rule, and probably one of the most important beauty rule. Your skin cells are constantly being produced, and they are being shleffed off all the time. Scrubbing your skin with an exfoliator or a scrub will help to remove those dead skin cells. Exfoliating also helps to penetrate deep into the pores to help loosen up and remove dirt from your skin's pores. Exfoliating also helps to make skin smooth. It is definitely renewing to exfoliate your skin, and I recommend highly that you do it. Whether it be a cream moisturizer, an oil-based moisture, or a straight oil moisturizer, you should always use it after cleansing and toning your face with astringent or toner. After you cleanse your skin, you cleanse your skin again by toning it, and then you put moisturizer on your face. This helps soften, and reduces the chance for oily skin later in the day. It can also lay the groundwork for makeup, and can sometimes act like a primer before applying facial makeup. 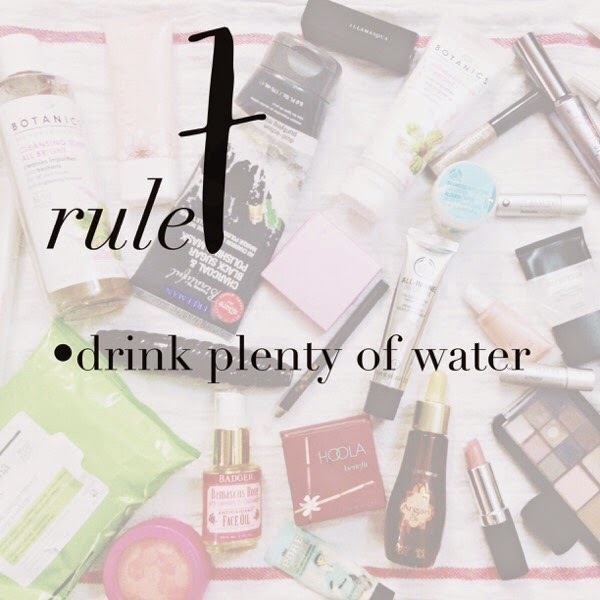 Drinking water is ultimately the best way to hydrate your skin. It also gives you a glowy look, and it helps clean out the toxins. 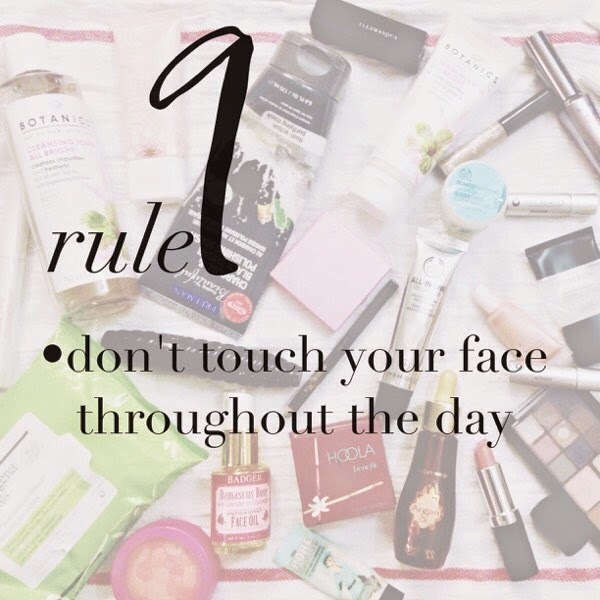 This is one of the rules that helps you feel beautiful inside and out. Lately, I have not been very adamant about drinking water, and I have paid for it dearly. I was slightly dehydrated, and I had some serious nausea over the past few days. Not having the nausea makes me feel beautiful, and having pretty skin gives me great confidence. This rule is one of those rules that I even forget about sometimes. You go about your day touching door handles, table tops, writing with pens, eating food, texting on your phone, talking on the phone, going to the bathroom... we obviously do many things throughout the day, and they all involve bacteria. When you touch a door handle that a ton of other people have touched before you, and you touch your face, you are transferring the bacteria from the door handle to your face if you touch your face after opening a door. This can potentially cause a bacterial infection on your skin, or a topical, skin virus, this can even lead to MRSA. You don't want that on your face do you? Touching your face can lead to less serious consequences such as blemishes or blackheads. You still don't want those, but if you must touch your face, you should watch your hands first. Anything that improves my skin, and my life I am very much up for it. These rules have been in the back of my mind as a routine that I did without thinking about it. I compiled the things that I do in my routine into rules so that I can share them with my readers. 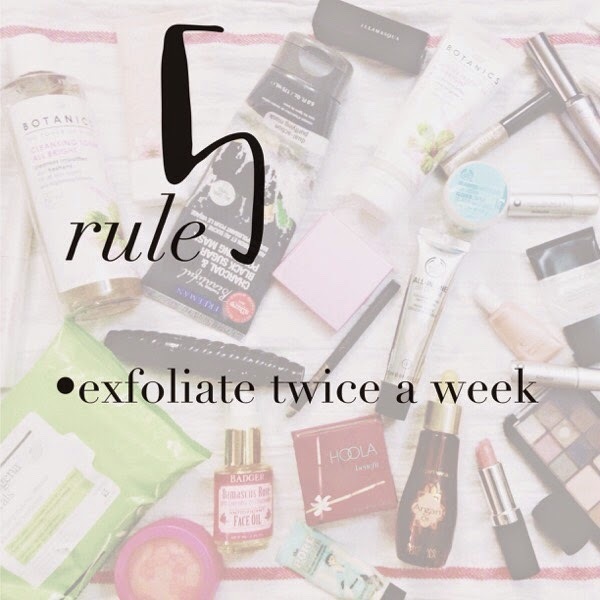 Remember to share these rules with your friends who might be looking for a great beauty routine to follow. Have a great Monday, everybody! Don't stress over silly things.